What kind of duties can be performed? Our caregivers provide assistance with Activities of Daily Living. Duties can include but are not limited to bathing, dressing, grooming, medication reminders, meal preparation, laundry, housekeeping, companionship, transportation and exercises. Please check the full list of services. Does your agency provide transportation? Yes, we provide transportation to doctor appointments, social outings and errands. If the caregiver utilizes their vehicle then a $.60 per mile reimbursement will be applied to your statement. Please check our in-home care services for details. My mom is healthy, but I worry about her alone at home all day. Do you offer companionship services for people like her? Yes! We have a knack for making a great match. We’ll come out to learn more about your loved one and to tailor our companionship services to meet your individual needs. Do I have to commit to a minimum number of hours of service? We require a 4-hour minimum per shift. We have a variety of service options ranging from “rise and shine” visits to live-in coverage. We make an effort to be flexible with your needs and offer an array of options. Our respite care services will help home caregivers to take a much-needed break from taking care of family members. Yes, we require 24-hour notice to either cancel a shift or services all together. We do understand that emergency situations arise and will be flexible. Can I change my service or schedule? Yes, we are flexible and can adapt to your needs as they change. Major changes may require a reevaluation of the service plan. What are the qualifications of the people who train your caregivers? Our caregivers are trained by our Agency Manager, Daniellah Salario, Certified Senior Advisor. They complete additional training by local visiting specialists (hospice, dementia care practitioners, etc. ), and online training through Caregiver List. We use the latest technology “Telephony” to supervisor our caregiver’s arrival and departure times. This technology notifies the managerial staff within 10 minutes of the caregivers scheduled start time if they have not called in. Most often, the caregiver has already begun their duties. We also provide on-site supervision every 30-60 days and ongoing communication. Having a consistent caregiver is always our goal. It works best for you, our caregivers, and our office staff to ensure seamless communication and care. We still recommend having more than one caregiver who is familiar with the case for unexpected situations. Those who require more than 40 hours/week will have a few different caregivers. One may work Monday-Thursday, and a second Thursday-Monday. You will get used to seeing the same face on the same day. Routine is key! What if my caregiver is not a good fit for me? Your comfort is our first priority. We follow up with you and your loved one frequently. Anytime you are not completely comfortable with your caregiver, we will work with you to find a perfect fit. Who answers the phone after hours if we have an emergency? Assisting Hands® managerial staff will answer your call 24 hours a day, 7 days a week. We feel it’s important to have a competent staff member available at all times. Yes, Assisting Hands® is licensed by the Illinois Department of Public Health. We are also bonded and insured. All of our caregivers are employees of Assisting Hands®, whereby we assume liability for salaries, workman’s compensation and all staffing concerns. Yes, a deposit equal to one week of service is made at the time service is established. When the service is discontinued, the deposit will be applied to any remaining balance for services rendered. What are the Home Care benefits for Veterans? Veterans can receive additional pension funds to pay for home care costs. Please contact us to learn more about the Aid and Attendance or Homemaker benefits. We would be happy to connect you with a local resource. What is the best term to use: elder, senior, older adult? Adults over 65 can be divided into three categories: young-old (65-74), old (74-85), and oldest old (85+). When unsure, the best term to use is older adult. What are the common conditions in older adults who receive home care? Chronic conditions such as arthritis, osteoporosis, Alzheimer’s disease, Parkinson’s Disease, Multiple Sclerosis, among others can make living at home unsafe. Our senior/elderly care service can help you maintain your independence in your own home and keep you safe from falls, help you with light housekeeping as well as companionship, bathing, preparing meals, etc. My parents need some home modifications to make their home safe? Can you help advise us on installing grab bars of a ramp? Yes! Assisting Hands Home Care can refer you to local resources who can help you out with these home modifications to make aging in place a reality! Hospice can be elected when a patient suffers from a terminal illness and there is a prognosis of less than 6 months. If you are unsure, a visit from a physician can provide more information and help select a hospice organization. A person on hospice has elected to cease medical treatment for their disease. How long can a person be in hospice care? The prognosis should be less than six months, however patients may continue hospice care past this time. Hospice care and palliative care share the common goal of pain and symptom management. A patient on hospice has a terminal diagnosis where the palliative patient may begin symptom management at the onset of the disease. How does home care fit into hospice and palliative care? An Assisting Hands caregiver can work with the hospice team to make sure you are comfortable and cared for in your home. The caregiver can help reposition you, change linens, give you a bed bath, prepare light meals, and keep you company between visits from hospice workers. How do I know when it’s time for my mother or father to receive home care? We use the activities of daily living (ADLs) as a guide. Can eating, dressing, showering/bathing, grooming, continence care, etc, be accomplished safely on a daily basis? Think about your morning and nightly routines. Can your loved one accomplish these self-care tasks easily? If not, it might be time for help. Give us a call at (847) 462-4402 and we can come to do a free home safety assessment or refer you to other professionals in the community who can offer advice. Falls: Has your loved one suffered from a number of falls recently? Did he or she end up in the hospital due to a fall? Our caregivers are trained in fall prevention techniques and can help your parent with activities during time of the day when a fall may be more likely to occur. Concern for driving: Are you starting to feel worried about your family member behind the wheel? Is his reaction time much slower than it used to be? Check out our blog post on how to talk with an older adult about driving. Nutrition suffers: Lifting heavy pots or carrying bags or fresh fruits and veggies can be hard for the older adults (think of someone suffering from osteoporosis or sight problems). They often opt for a microwave meals or skip meals altogether. Our caregivers can stop by to prepare some home cooked meals and leave leftovers in the fridge for the next day! Household chores are not being Accomplished: Do you notice a change in the way your loved one cares for the house? Our caregivers can visit to wash the comforters, vacuum, and do some other light housekeeping. Other Safety Concerns: Is there a chance he or she may forget to turn that burner off at night? Have you visited mom and dad and found the door unlocked? Consider a nightly “tuck-in” visit. Our caregiver can stop by in the evening to make sure medication has been taken, burners are off, and doors are locked! What if my mother or father is stubborn and doesn’t want a caregiver? It’s normal for a family member to feel a bit hesitant before inviting someone new into their home. Most of our parents have been caring for themselves and others for most of their adult lives. Try to involve them in the decision making process as much as possible. For example, would you rather have a caregiver come at 8:00am or 9:00am? Or would you prefer a female or male caregiver? Rest assured that after a bit of an adjustment period, your caregiver will become part of the family and you won’t be able to imagine life without them! Check out our blog post on what to do when a family member refuses home care. My brothers and sisters live all over the country. How can we all stay informed about your home care services? 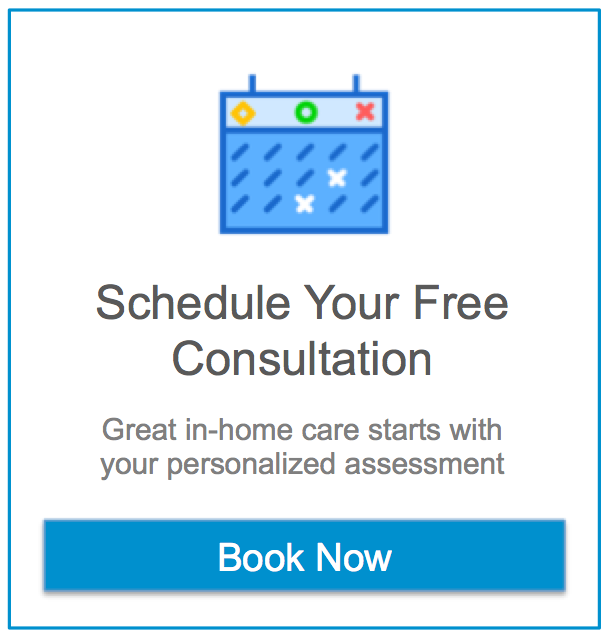 At Assisting Hands Home Care, our software utilizes the “Family Room” feature, where families can login to view schedules, care notes, invoices, etc. The staff at Assisting Hands serves as your concierge to keep all authorized parties informed about your services. Our clients are our neighbors and part of our family. Are you worried about mom or dad from afar? Just give us a call and we will send someone over to check in and make sure all is well. The agency manager and majority of our caregivers live throughout Arlington Heights, Mount Prospect, Des Plaines, Wheeling, and Prospect Heights. We work quickly to get to your parents in case of emergency. If you need some tips on setting a plan of home care among siblings, please check out our blog post on how to coordinate care for an aging parent among siblings. My parents are from a different generation, one where they were very distrusting of strangers in the home. Is this uncommon? How can I convince them that your home care workers are trustworthy? This is a very common feeling. All of our caregivers pass through state and national background checks. They are fingerprinted and registered through the Illinois Department of Public Health Healthcare Worker Background Check. The caregivers are our employees and we are legally responsible for the work they perform inside your home. Trust is built over time. Shortly your family member will feel like the caregiver is part of the family!